Although glucosamine and chondroitin are found naturally in the body, the production of these compounds can often be negatively affected by age, injury and ongoing medical issues. As dietary sources of glucosamine and chondroitin are famously scarce, many customers are utilising the power of glucosamine and supplements to support active living. 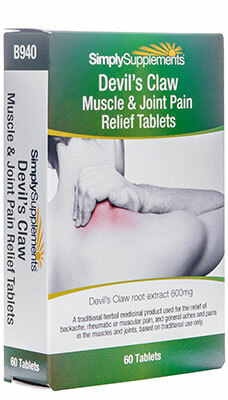 What really makes these glucosamine capsules perfect for customers is the addition of chondroitin. Like glucosamine, chondroitin also naturally occurs in the body where it has a very similar role. When combined together into one capsule, the two go hand-in-hand to help provide the best support possible. Who Should Take Glucosamine & Chondroitin Capsules? 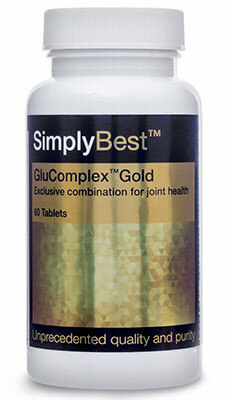 Simply Supplements SimplyBest glucosamine chondroitin capsules are ideally suited for customers who feel like they could use some extra support to help maintain their active lifestyle. This premium-quality formula represents a convenient way to ensure regular, high doses of glucosamine and chondroitin are taken in by the body to help you keep up with day-to-day demands. 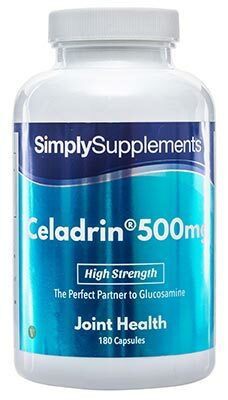 The pairing between glucosamine and chondroitin is a popular one, and Simply Supplements have taken this duo one step further by using only marine sourced ingredients of the finest quality. 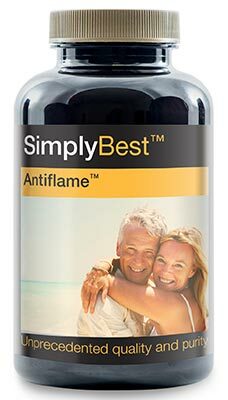 This has helped launch the quality of the SimplyBest glucosamine chondroitin capsules to new heights. 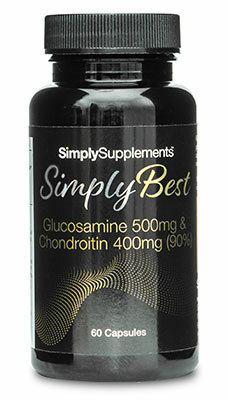 Simply Supplements SimplyBest Glucosamine 500mg Chondroitin 400mg capsules come in exclusive EasyGest capsules to help provide fast and effective digestion. These EasyGest capsules are perfect for customers who struggle to take capsules or tablets orally. They can be opened up and the contents added to food or drink, allowing you to benefit from the value of the supplement without having to labour taking it orally. 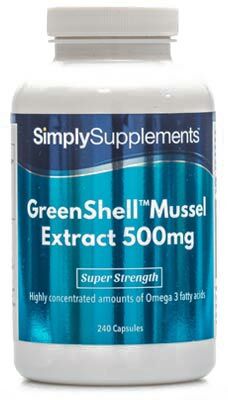 The EasyGest capsule material has also been formulated by the expert nutritionist team at Simply Supplements to help the ingredients make their way into the bloodstream quickly for maximum effect. 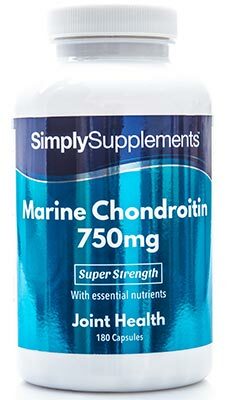 The ingredients used in Simply Supplements glucosamine chondroitin capsules are taken only from the best marine sources. These high-quality extracts are proven to offer far better benefits compared to cheaper bovine alternatives you are likely to find elsewhere on the market. During the manufacturing process, every ingredient is rigorously tested and inspected to ensure the purity and quality is never compromised. Simply Supplements products are manufactured in the UK at Good Manufacturing Practice (GMP) approved facilities.